Ukip Ouverture - Will Theresa May See Tommy Robinson In Parliament Soon? 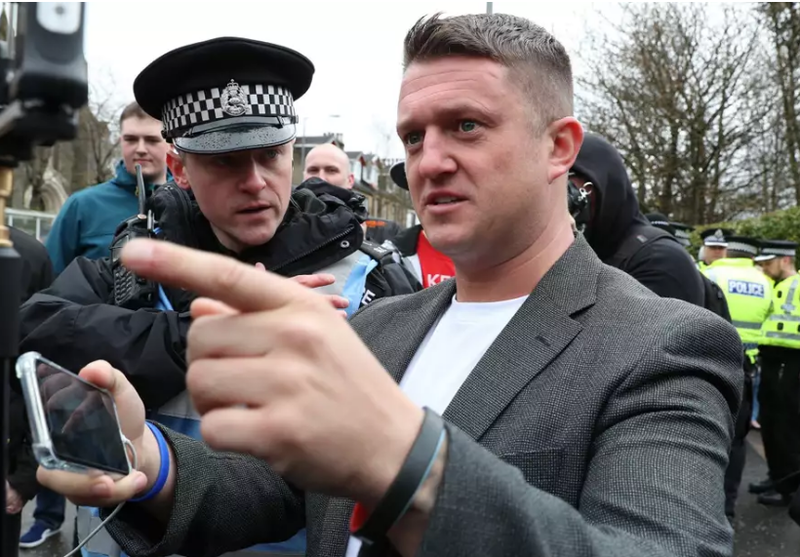 It could be quite the turnaround for him as Ukip (the UK independence party) is currently considering inviting Mr. Tommy Robinson to join as a member of their political party. Knowing his immense popularity in the heartland of Britain, imagine the surprise of PM Theresa May should she run into Mr. Robinson in the British Parliament next year. Already this weekend the ruling body of Ukip will vote to let Mr. Robinson in as a member as certain senior politicians fear that a swing to lure supporters of the far-right is in the making. The National Executive Committee will decide whether to give their approval to a motion brought forward to let the founder of the English Defence League (EDL) into their party. If that is approved the Ukip members can then vote during a party conference in Birmingham later this month. Related coverage: <a href="https://thegoldwater.com/news/33035-UK-Robinson-Was-Put-In-Majority-Muslim-Prison-Lost-40lb-Video" >UK - Robinson Was Put In Majority Muslim Prison, Lost 40lb (Video)</a>. If all goes as planned, the rightwing activist and journalist from Luton who found himself in prison earlier this year could become a mainstream politician by the end of 2018. Former Ukip leader Mr. Nigel Farage has always rejected overtures by the EDL to work together. On February 5 1985 we saw a sea serpent beach itself in San Francisco Bay. Would be funny but it won’t happen. If he ends up in Parliament it is because he is an actor. I wish I could easily explain why this is the case but I will say that the UK is effed beyond most people’s wildest imaginations. Farage-Robinson team, it’s a longshot but hey, wake up Britons!!! I like he Farage-Robinson scenario!!BOOMBOOM!! Tommy Tommy Tommy … Tommy Tommy Robinson !! !